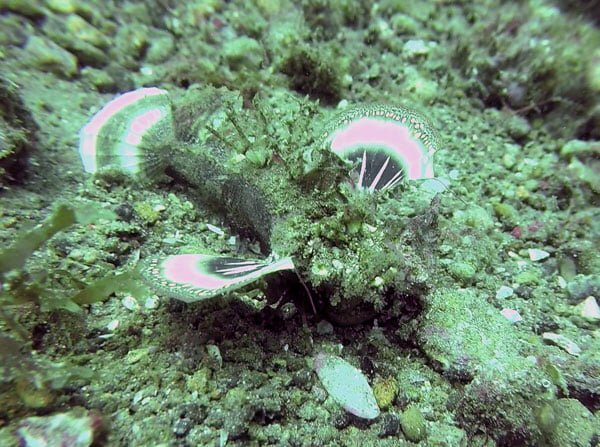 Anilao in the Philippines is a famous scuba dive site where you can see lots of weird tiny creatures like that of Lembeh Straits in Indonesia’s Manado. 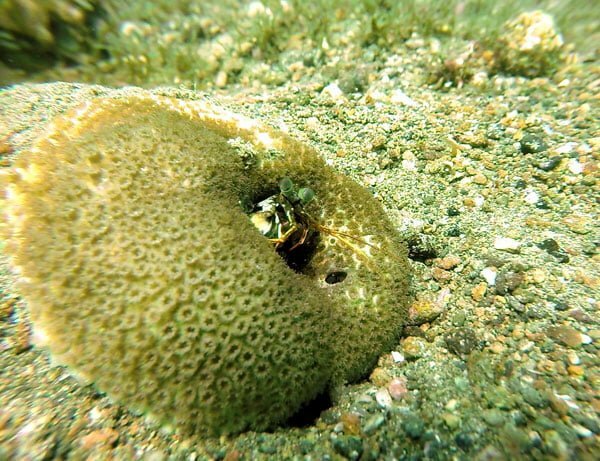 This little spot in the Batangas, south of Luzon Island, is a Macro photography haven and definitely a must-go if you are an avid scuba diver. 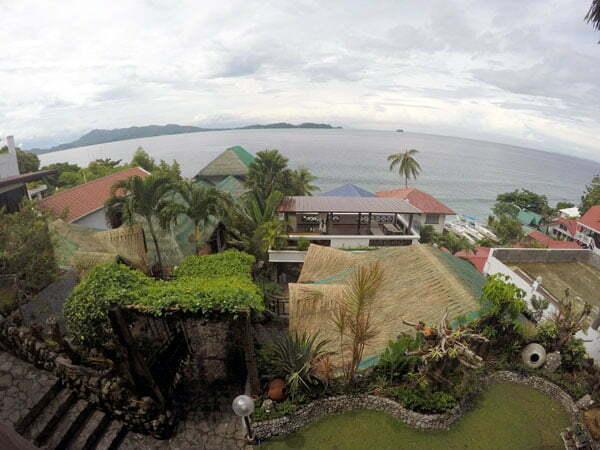 Here’s what you need to know about scuba diving in Anilao and my review on Crystal Blue Resort. 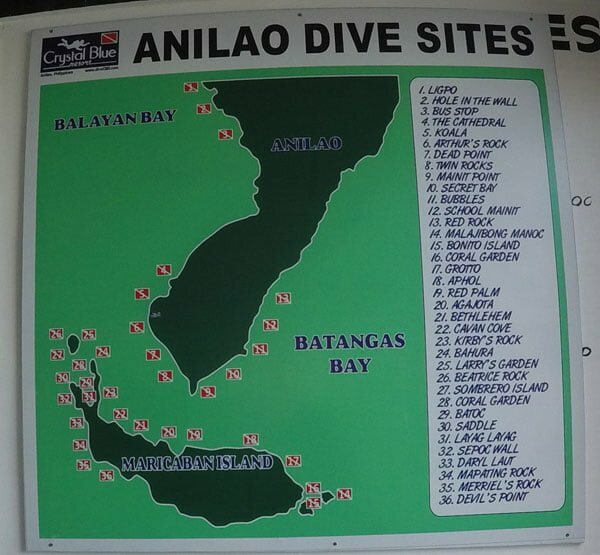 Why scuba dive in Anilao? I was up in Manila in October for a travel blogging conference, and with some days to spare at the end of my trip, I knew I definitely had to take a detour down to Anilao, just 3 hours away by bus and car to do some proper diving. 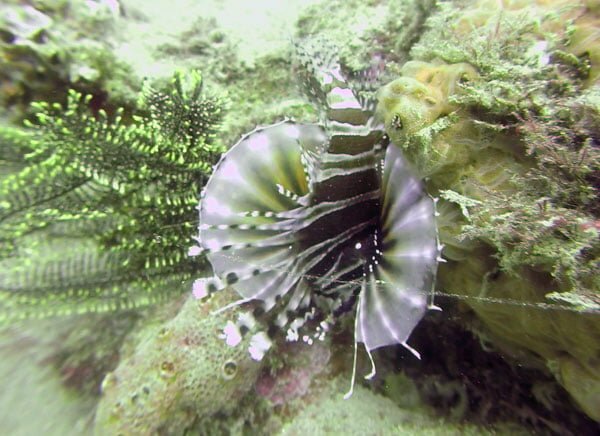 I’d done a few dives on my Career Break so far in Okinawa, Taiwan’s offshore islands, off the East African coast in Mombasa, and most recently in the amazing Komodo islands, but the last proper dive trip was way back in 2013 in the Maldives. I was overdue to spend some quality time underwater. 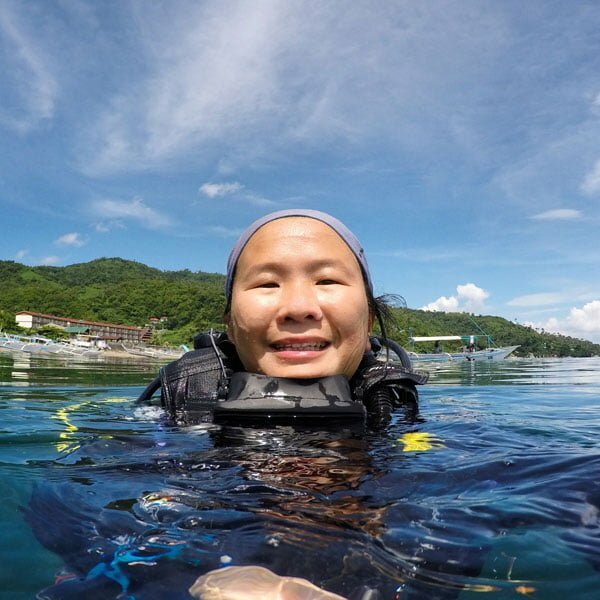 The Philippines has some great scuba diving to offer – I dived in Moalboal in Cebu quite early on in my diving days, and I had also been to Malapascua, which is famous for the beady-eyed thresher shark, so I was looking forward to seeing another side of Philippines’ diving offerings here in Anilao. Thanks again to Crystal Blue Resort for hosting me on this little dive detour. The closest airport is in Manila’s Ninoy Aquino International Airport (NAIA). It takes about 3.5 hours to fly from Singapore to Anilao and there are plenty of options to fly there whether you want full service or budget! 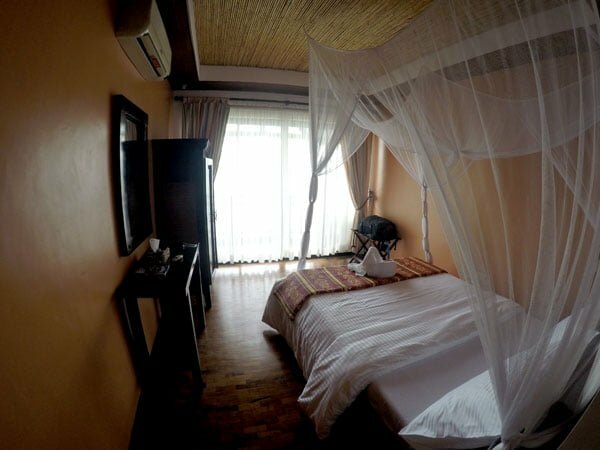 From Manila, you could arrange for transport directly to your dive resort – many of them will pick you up from the airport by private car, though it can be a bit pricey if you are solo – my resort’s quote was about Php 3,600 (around S$100!). This is more ideal if you are in a group and can split the costs, and if you are all carrying bulky dive gear. This is a bit of a doozy because it involves a lot of transportation, but it is way, way cheaper. So weigh your options – cheaper, or less hassle? First, you take a bus from Manila – I took a car to the DLTB bus station near Makati, and then hopped onto a bus heading to Batangas Grand Terminal. The buses don’t do much proper signage or official timings, just ask around and they’ll point you to the right bus. Buses go from Manila to Batangas quite frequently, but sometimes they wait a bit to fill up the bus so don’t expect anything too prompt! A one-way bus ticket from Manila to Batangas Grand Terminal cost me just Php 157 (that’s less than S$5!!). Note that Manila’s traffic is somewhat insane – I was advised to catch a bus before 8am to avoid the peak hour crowds, where you can take an hour just to travel a few kilometres. I caught a bus around 630am and reached Batangas Grand Terminal at about 845am – a little over 2 hours. Then you take a shared jeepney westwards from Batangas Grand Terminal to Mabini – according to this post it should cost you just Php 35! After that, you’ll need to take a tricycle from Mabini to your dive resort, which is estimated at around Php 40. 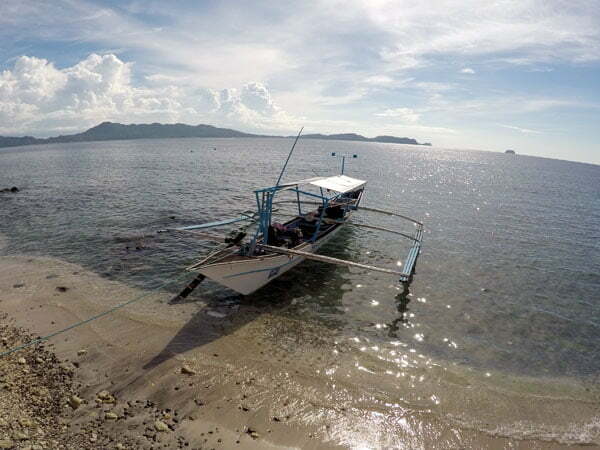 I opted to skip the hassle of jeepney and tricycle and took a private car transfer from Batangas Grand Terminal to the dive resort – it took about an hour in total and cost me Php 1,800 (S$50). In total, you’re estimating a minimum of 3 hours to get from Manila to Anilao, but depending on traffic you might end up with a 4-6 hour transfer instead! 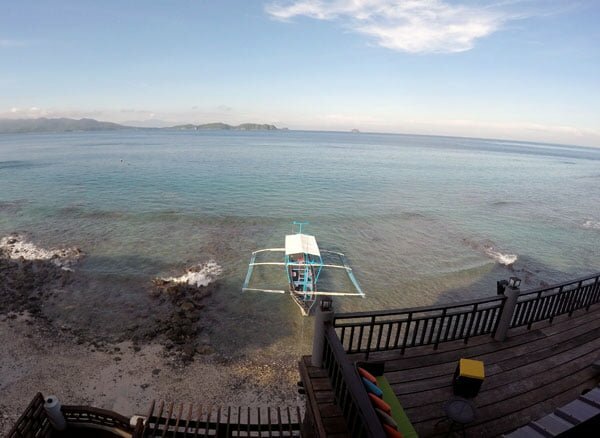 I stayed at the Crystal Blue Resort (CBR) which is a dedicated dive resort on the southern end of Balayan Bay. It’s not a very big resort, nice and cosy but it’s also not particularly close to any other attractions – most people here are dedicated divers, though they can arrange some other day tours for you if you want. The resort is built on a hillside of sorts. 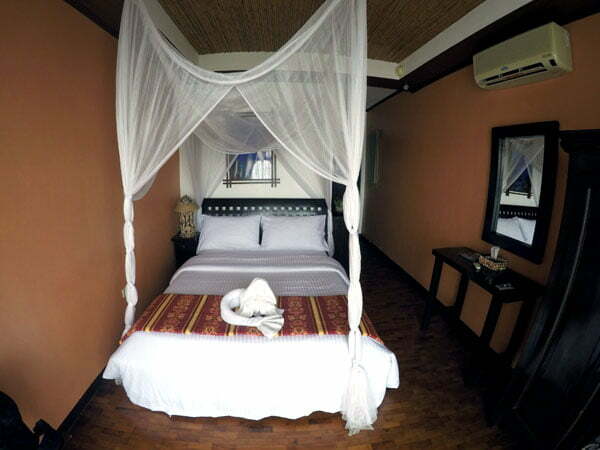 The main entrance is where the lobby and dining room is, the dive facilities are located down near the beach, while the rooms are located on the upper part of the hill. I stayed in a Deluxe Type A room with a queen sized bed and a great view of the bay! The west facing direction means amazing sunset views as well. Deluxe room from the balcony. The entrance is to the right and the toilet just behind the bed. Cost wise, it definitely is much cheaper if you can go in a group of around 4pax minimum rather than solo, because you can share the costs of accommodation and the boat. CBR’s full rate list can be found here. Here’s a selection of some of my favourite critter pix. 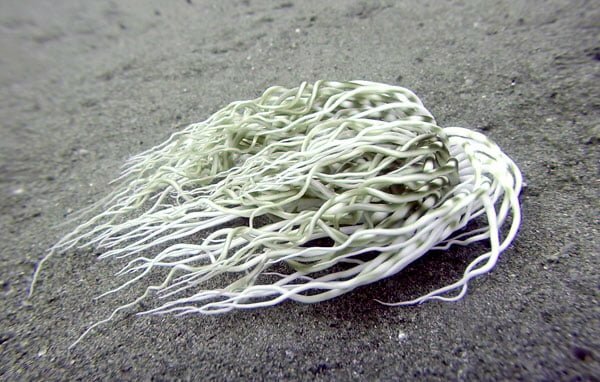 Identifying creatures is always a bit of a challenge, but this list was pretty helpful. 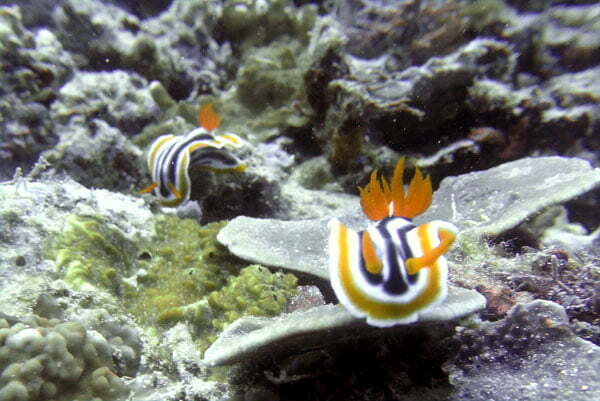 Big thanks to my dive guide Glen who helped us unearth all these strange tiny critters. 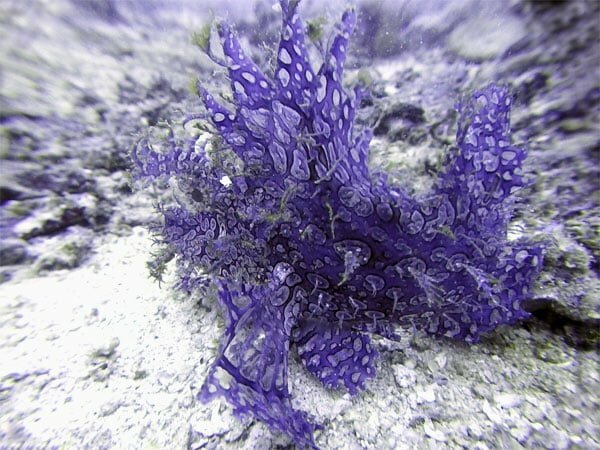 Pretty purple Rhinopia! 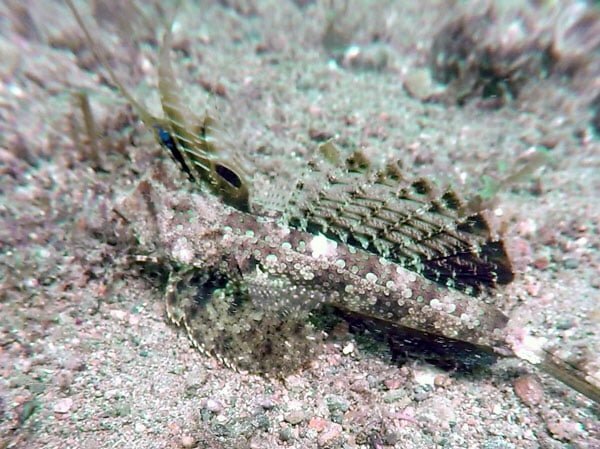 It’s a type of scorpionfish that spends its time ‘crawling’ on the seabed. 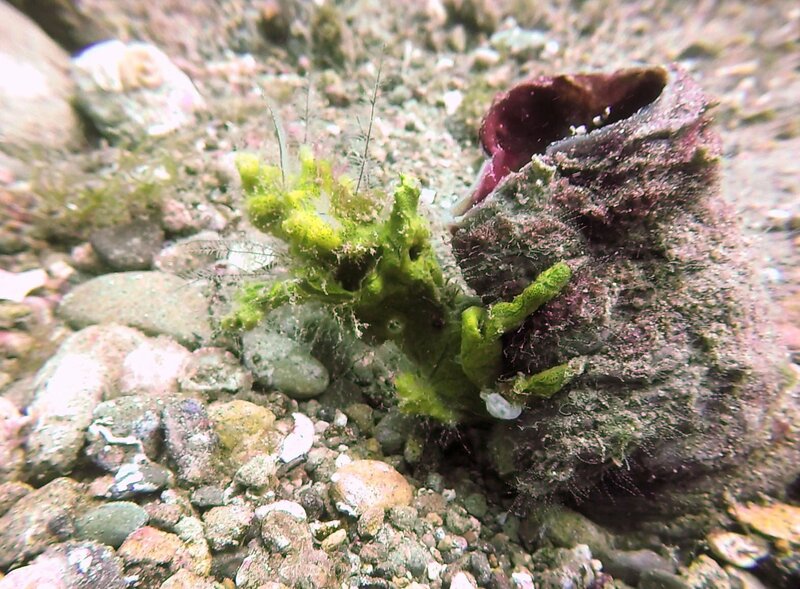 There was one lone Rhinopias just wandering around at around 30m on a mostly empty seafloor! 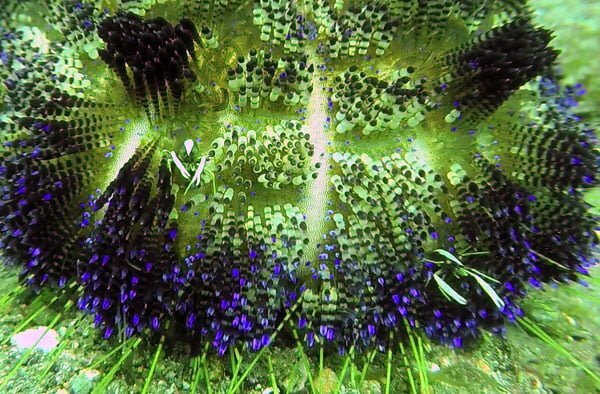 These 2 little shrimp were hiding on a walking fire anemone – can you spot them? I kinda like his flared nostril look. Blue ribbon eels are male, yellow ones are much rare and are female. if you spot a black one, that’s a juvenile/baby one! 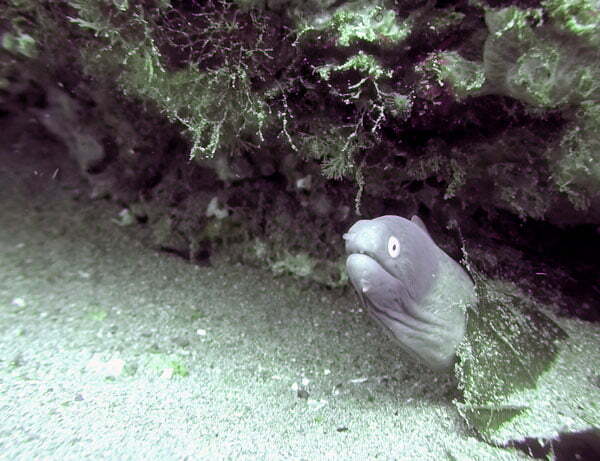 Moray eels are one of my favourites. They’re just so weird and… bald and stare-y. That weird yellow thing is some sort of crab. Really odd. 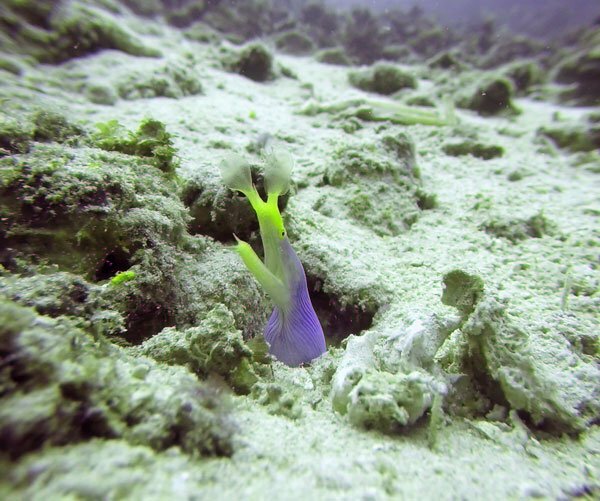 It wasn’t all muck diving and sandy bottoms, we had some pretty coral at points! It’s small and it’s always nice not to have massive gear while diving! You definitely need proper lighting to get the colours in their demo video. Preferably a dive torch with a filter – the instructor shone some light for me at times but it was way too harsh. but I think the pix came out better than I expected though I had to do a bit of tweaking to get the colours right. It’s not good for absolutely tiny critters (smaller than your pinky nail), especially if they are transparent. The GoPro just cannot focus because they are way too small! 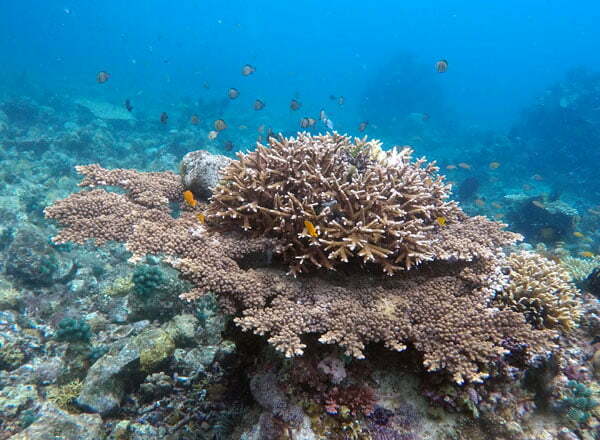 Have you dived in Anilao or are thinking about going there soon? Drop me a note for any questions! Thanks to Crystal Blue Resort for sponsoring the diving and accommodation on this trip. Jaclynn Seah is The Occasional Traveller, a Singaporean girl who knows what it’s like to juggle work and wanderlust. She hopes to inspire busy people to remember to take that time off and travel more! More here.